BIM is only really an efficient and commercial option if it is paired with the integrated working method. A a joint focus on a workable planning approach and the early formulation of detailed design parameters remain important. 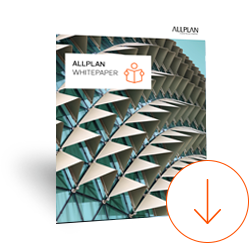 This whitepaper is based on an in-depth discussion with the Chief Executive Officer of Gähler und Partner AG based in Ennetbaden in Switzerland, Mr Raphael Wick, who provides a comprehensive insight into the planning philosophy and features of integrated working.